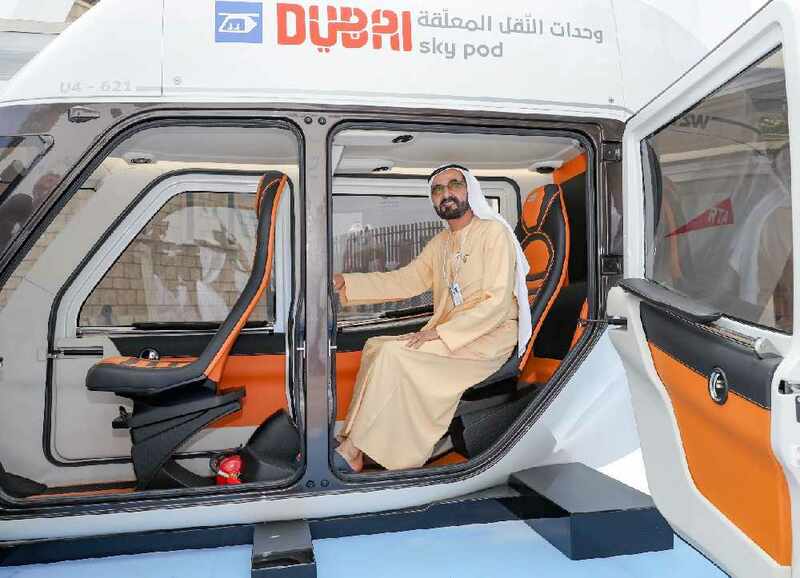 The new Sky Pods, an initiative by the Road and Transport Authority (RTA), was displayed on the sidelines of the ongoing World Government Summit. His Highness Sheikh Mohammed bin Rashid Al Maktoum, Vice-President and Prime Minister of the UAE and Ruler of Dubai, accompanied by His Highness Sheikh Hamdan bin Mohammed bin Rashid Al Maktoum, Crown Prince of Dubai and Chairman of Dubai Executive Council, tested out the new pods on the second day of the ongoing summit. The initiative is currently in its testing phase by the RTA in conjunction with Skyway Greentech Co.
محمد بن راشد يرافقه حمدان بن محمد يطّلع على نموذجين من وحدات النقل المُعلقة على هامش أعمال ⁧‫#القمة_العالمية_للحكومات‬⁩، وهو نظام مستقبلي للتنقل، تدرسه هيئة الطرق والمواصلات بالتعاون مع شركة "سكايواي جرينتيك"، وتعد إحدى مبادرات الهيئة لمستقبل التنقل في الإمارة . 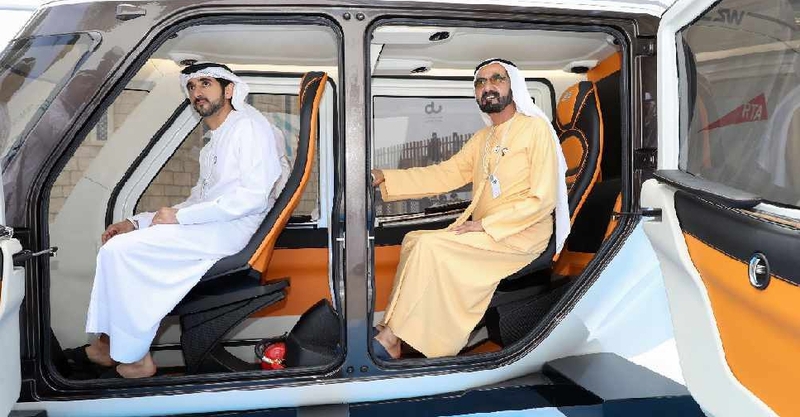 . . @HHShkMohd accompanied with @Faz3 reviews two models of the Sky Pods, a mobility system being tested by the @RTA_Dubai in conjunction with Skyway Greentech Co.